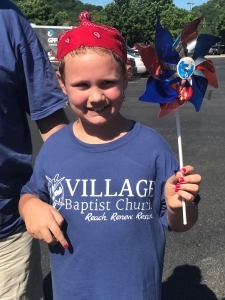 What could be more fun and rewarding than celebrating our nation’s birthday with friends, fellow Christians, neighbors, and community as we honored our past and present military personnel? That’s exactly what we did on July 4, 2018. 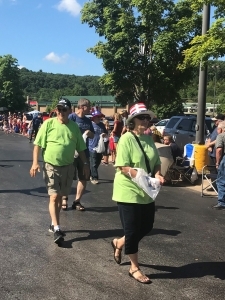 We handed out 500 bottles of water (donated by our members) to thirsty parade watchers and 275 Village Baptist Church (VBC) hand-fans to hot celebrating people. 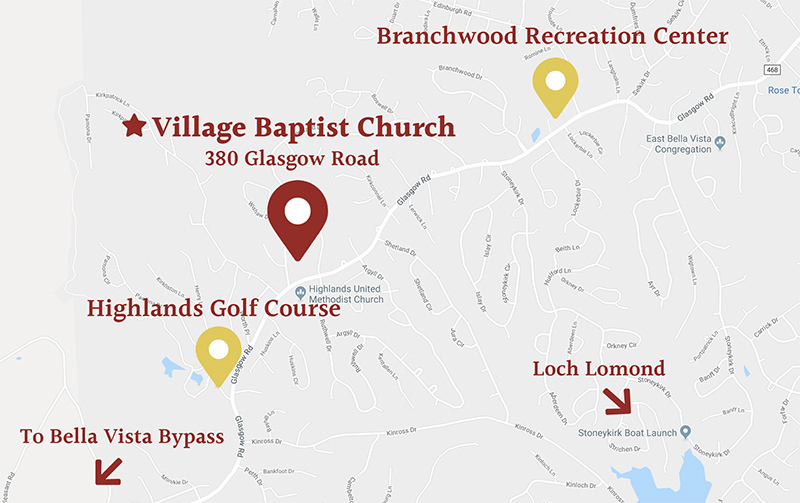 Of course, we can’t forget all the candy that some members handed out including Pastor Harold. 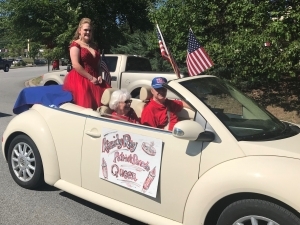 As if that was not enough, our own Kassidy Ray was the beautiful Parade Queen and our church quartet sang the National Anthem. 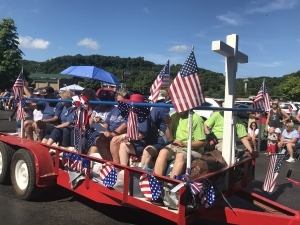 Many members rode Troy Henson’s hay wagon which was decorated with hand-made quilts placed over the bales of hay for comfort, and Troy adorned the wagon with a large white cross. 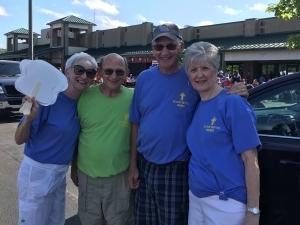 Looking at the pictures below you will see that we proudly wore our VBC T-shirts which display our mission to “Reach, Renew, and Restore” and express our heart in “Loving God and Loving Others”. 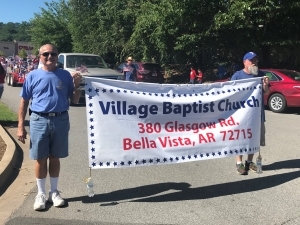 We trust that our efforts brought glory to God through service and interaction with our community as we enjoyed the most important independence of all, the freedom we have in Jesus Christ.